« Fake News About 44 States Obstructing Justice…it’s 14. The Voter Integrity Project will finally go public on voter impersonation fraud in North Carolina, Tuesday, July 25th at 7 p.m. in Chapel Hill, NC, when VIP Director, Jay DeLancy will give the same briefing that, in past, has only been shown to veteran groups, election officials and to law enforcement personnel. Now, it’s time the general public learned how easily certain groups have stolen elections. We’re filming it and you act as the jury while Jay lays out our case. You will experience a multi-media presentation, ​that’s mixed with humor, short video ​witnesses and​ just a little bit of live music​. ​It will be ​like no briefing you’ve ever seen on the subject of vote fraud. The case is so compelling that even our (well behaving) critics are invited! 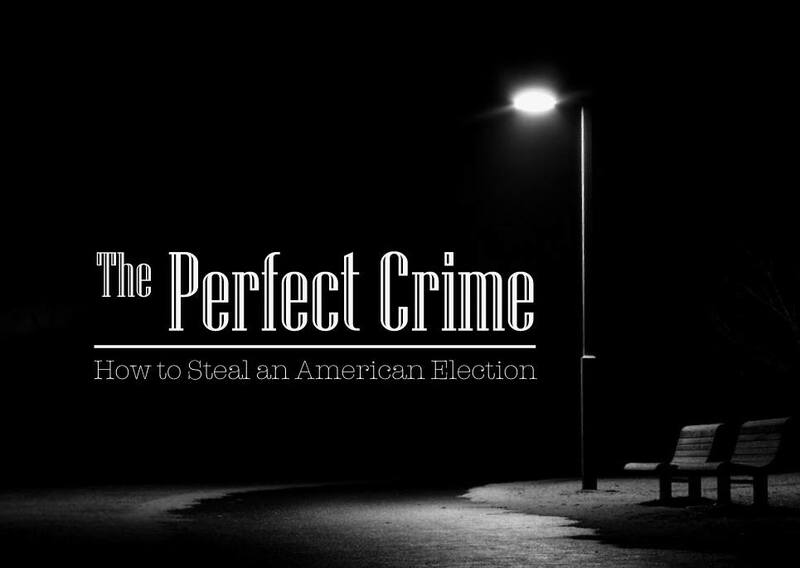 The presentation, called ​”The Perfect Crime,” is in Chapel Hill, NC. The event is “A Movie in the Making” and you can buy tickets by clicking here. If you cannot attend, but want to help with production costs, please click here. If you’re still on the fence, please continue reading. 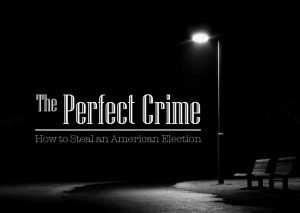 How we got here: ​Based on​ more than five years​ of research​, evidence and analysis, The Perfect Crime ​builds the case ​for an enterprise-level​, RICO prosecution of an interstate vote fraud​ scheme. It was born in Chicago​ but has metastasized to ​every state, from ​North Carolina ​to California. We’re taking this extraordinary measure because ​too many media, political and academic “experts” have denied vote fraud as they resist public outcries for voter ID. Despite numerous eyewitnesses to vote fraud, the fraud deniers use childish logical fallacies that dupes small-minded politicians, media and even some federal judges into believing them. This film will call their bluff. Election integrity is THE civil rights crisis of our time. Far from just a wild-eyed rant, The Perfect Crime will show the evidence and offer direction in how to bring adult supervision to the electoral process. For too long, well-meaning people trusted “the government” to run elections, but that’s not how the Founding Fathers designed it. Our system is based on at least two factions keeping an eye on each other. We see this in Congress, but that principle also extends to how the votes are cast and counted. One side understood this and has gamed the system. The other side took their kids to soccer practice and expected “the government” to keep elections honest. This condition needs to change…and fast! After explaining the problem, this movie charts the way ahead for the silent majority of Americans, who still love their country, to engage the process and bring integrity back to the electoral process. How to get your ticket: Your ticket purchase helps support food, facilities and on-site security, but your additional support will help us promote the film to the next level. Also, be warned that unruly guests will be filmed, ejected and prosecuted with no hope of getting a refund . 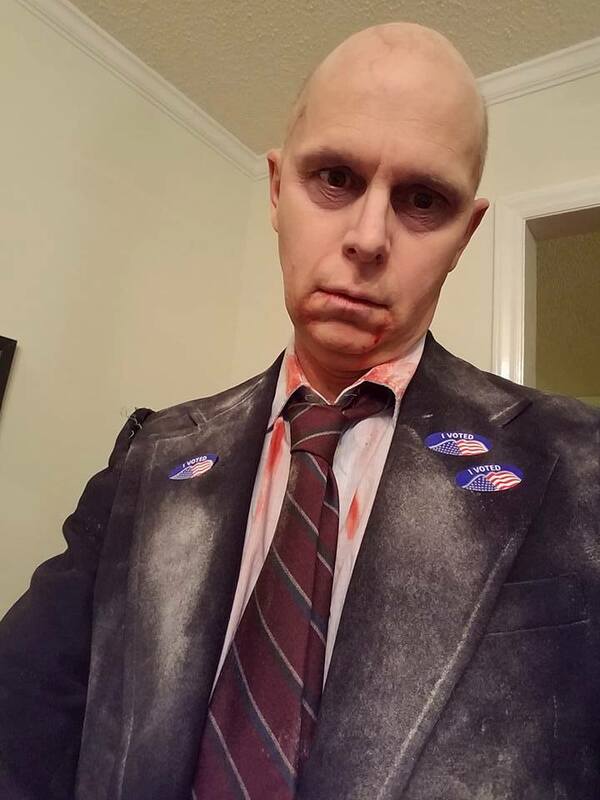 . . and unlike our fraud-friendly election laws, photo ID will be required at the door. To order your ticket, please click this link.